Thank you for visiting our site! 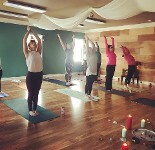 We are so excited to share our love of yoga, physical fitness, and holistic healing through yoga classes, aromatherapy, wellness therapy, personal training, life coaching, family and child therapy, and nutritional counseling. 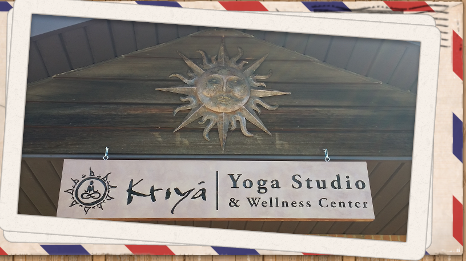 What makes Kriya Yoga Studio & Wellness Center different from other fitness facilities is our wonderful staff! They bring different life and professional experiences, but share the same passion for helping others live a healthier life through movement, breath, self awareness, self discovery, relaxation, and laughter! All of our yoga instructors are RYT200 certified and our wellness therapists are certified as well. Our studio is large but we have worked hard to provide a safe, clean, relaxed, and welcoming atmosphere. We served the beautiful community of Grosse Ile for over 10 years and now have the opportunity to serve Trenton as well. Throughout the years, our journey has led us to specialize in yoga, one on one training, energy work, and nutrition. All five can benefit each and every one of us no matter what our age, movement level, or experience. Sometimes all of these things can be intimidating, but you have our word that we will make you feel at home, gently guide you at your own pace, and assist you any way we can. We look forward to being a part of your life journey. Kriya offers a wide range of services to best serve your needs. Each one allows you to grow strong, let go of what no longer serves you, assists on your journey to good health, and connects you to a positive, peaceful, loving and supportive community! We provide yoga classes for all levels of experience. All of our yoga instructors have completed their 200 hr RYT certification and have a passion for sharing their practice with others. Our class sizes are small which helps to promote a positive, welcoming, and loving community to grow together! 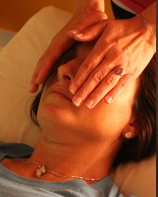 All of our energy therapists have either been trained in Reiki or Trinity Energy Progression. Both techniques increase self awareness, encourage healing, strengthening, and reconnecting our mind, body and spirit. It is a comfortable and relaxing technique which works with our energy to help speed up recovery time from an injury or illness and reduces pain, anxiety and stress. 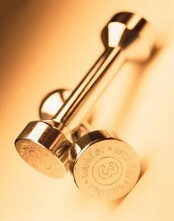 Our personal trainers develop a program specific to your needs, goals, and level of fitness. Our clients range from high school students training for a specific sport to mature adults working to strengthen their core, increase flexibility, or help to relieve joint pain. 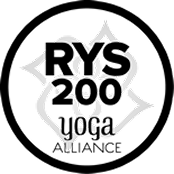 Each month Kriya offers special workshops/trainings that are taught by guest or Kriya Instructors/professionals. All of the workshops/trainings are developed to help you learn, grow and apply into your life on and off the mat. Kriya offers a 200hr certification for Yoga Instructors. It allows students to deepen their practice, explore the history and philosopy of yoga, break down poses, learn to meditate, explore THEIR style of practicing and teaching yoga, and prepares students to BECOME effective yoga instructors if that is their passion. When we make the choice to embark on a healing journey we are taking action to honor ourselves in one of the highest ways possible. Through deeper exploration we learn the systems that guide and influence how we show up in the world every day. My style is compassionate, collaborative, and holistic with the intention that our time together will help create a shift from surviving to thriving! Instead of looking for a new year's resolution or its's time to get into a bathingsuit solution, with a quick fix for weight loss, how about looking at a permanent lifestyle change; one that is based on the basics of healthy sustainable eating.We've forgotten what it's like to eat at the most basic level. While we truly eat to live, we should also enjoy our food. It should not only taste good but it shoud look good, fit our budget, fit our lifestyle and be nutrient filled. It's time to get back to the basics! Lydia is availble for one on one sessions during the weekdays. 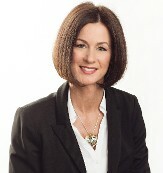 Erika can teach YOU tools to move from "managing" your life to succsesfully planning and navigating change for the future. She will unearth your talents and leave you feeling confident, powerful and accomplished. Erika is available for one one one, group, or professional team navigations!